The iOgrapher Go has the standard iOgrapher handles for hand-held shots, as well as three cold shoe mounts and a 1/4-20 tripod mount. This obviously allows you to mount the iOgrapher on a tripod, monopod, slider or the like, along with whatever accessories you choose onto the cold shoe mounts, whether they be lights, monitors microphones, etc. The Kickstarter campaign just launched last Thursday with a goal of $20,000. As of right now they have already reached $14,345 with 25 days left, so they’re already so close to their goal. So head on over to their Kickstarter at www.Kickstarter.com to donate and be one of the first to get this awesome new addition to the iOgrapher family. Be sure to also visit iOgrapher.com for their other amazing cases. San Marino, CA (September 24, 2015) – iOgrapher® LLC (www.iographer.com) today announced it has launched a new Kickstarter campaign to support the production of the iOgrapher Go; a brand new iOgrapher designed specifically for Action Cameras like the GoPro, Blackmagic Micro Cinema Camera, Sony 4K Action Cam and even the new Canon Vixia Mini. 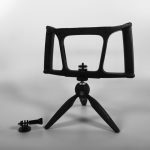 The iOgrapher Go features iOgrapher’s signature handles for steadier hand-held shooting, three cold shoe mounts for adding monitors, lights and microphones; and it features a standard quarter twenty tripod mount, so it easily mounts to any standard tripod, monopod or glidecam. 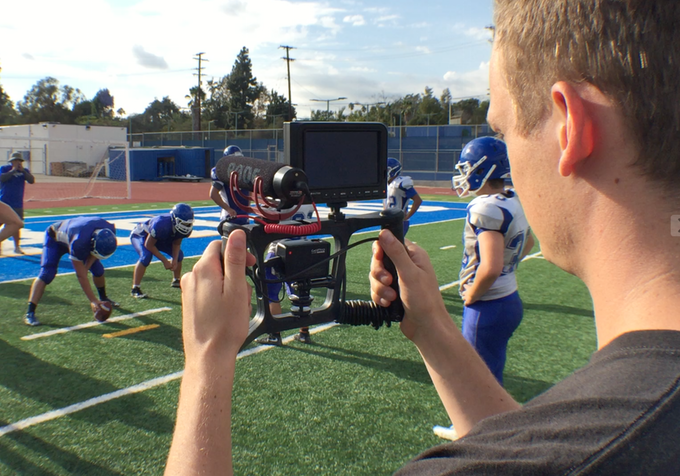 Created by high-school media arts teacher and filmmaker, Dave Basulto, the iOgrapher was inspired by young filmmakers, who he wanted to empower with the ability to shoot and edit video, take stills and stream video live – all from an inexpensive, accessible device. 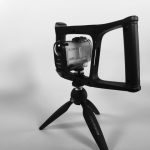 The iOgrapher is an all purpose mobile filmmaking case for the Apple’s family of iPads and iPhones, designed and manufactured in the United States. 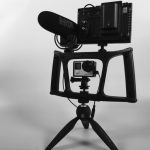 The iOgrapher is constructed from high quality, extremely tough polycarbonate/ABS, and its patent-pending design is for everyone from families with kids, to students, to Indies and professional filmmakers, videographers and mobile journalists. For more information, please visit www.iographer.com, follow us on Twitter at @iographer, or ‘Like’ us in Facebook https://www.facebook.com/Iographer.